Focusing on treatment and prevention of nonsurgical conditions in adults. Vision: Improve quality of care by increasing the quantity of resources available to our patients within our private practice. 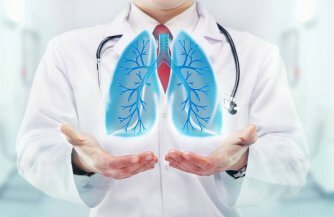 At Pulmonary & Internal Medicine Associates, (PIMA) located in Stuart, all of our physicians are board certified. We offer a broad range of services which concentrate on preventative care, primary care, acute and chronic pulmonary illnesses. We are also specialize in sleep medicine. Our practice is unique in several ways, as we are one of the few private practices (not hospital owned) still in the area and our health care professionals practice traditional medicine (inpatient and outpatient services). As our private multi-specialty practice continues to expand, our mission and vision replicate our assurance to provide extraordinary care to all our patients. If you are seeking individualized care and treatment, PIMA focuses on individualized care and you will be an integral part of all your health care possibilities. We understand that every patient is unique, and we extend a unique approach to your health care. Our team provides compassion, concern and respect to our patients.